← Fish oil supplementation during pregnancy: what’s best? The plaintiff Chris Shake said the snacks actually contain corn and oils made from genetically engineered plants. In the proposed class-action lawsuit filed in Brooklyn federal court, Shake said he paid an additional 10 cents per ounce of chips to buy the allegedly “all-natural” Tostitos and SunChips instead of a product such as Doritos, which makes no such claim. 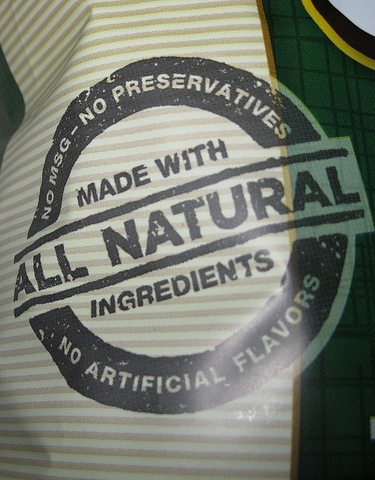 Independent testing conducted on samples of Frito-Lay products which were labeled “all natural” uncovered the presence of ingredients made from genetically modified plants, the lawsuit said. The New York lawsuit estimates the amount of total damages to exceed $5 million. According to the Center for Food Safety, there is currently no comprehensive definition of the term “natural” when it is used on food labels, with the exception of some meat products regulated by the U.S. Department of Agriculture. In 2011, the Center for Food Safety petitioned the U.S. Food and Drug Administration to require food containing genetically modified ingredients be clearly labeled. The case is Shake et al v. Frito-Lay North America Inc and Pepsico Inc, in the U.S. District Court for the Eastern District of New York, No. 12-408. 1) Home-made potato or sweet potato chips (slice these root vegetables up, sprinkle with paprika and a little sea salt, then bake). 2) Fruit such as papayas, berries, pomegranates, cherries and grapefruit. They not only contain vitamins and fibre but are also packed with antioxidants. 3) Nuts such as walnuts and almonds. Just make sure you stick to a handful a day- nuts are high in calories. This entry was posted in News Update, Nutrition and tagged chris shake, frito-lay chips, frito-lay lawsuit, lawsuit, sun chips, sunchips, tostitos. Bookmark the permalink.